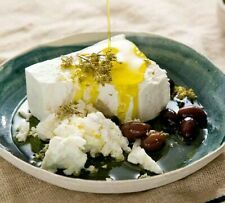 Deliciously high in Protein Bulgarian Sheeps Milk cheese feta in Brine 400g x6. This Bulgarian Feta is produced from fresh sheep milk from the high-mountain regions. It is softer than Greek Feta. It can be used as a starter, as a side dish, as topping for pizza. It can be crumbled in various salads or enjoyed with fruits: watermelons or grapes. A very healthy food choice, especially if you have any lactose intolerance. Sheep Cheese is a fantastic alternative. Product of Bulgaria Expiry October 2019. 3 Kg - Boffard Reserva is an Old Cheese made 100% with raw sheep's milk following the Castilian tradition. We use about 20 liters of milk to make a 3 kg Boffard Reserva cheese. Boffard Reserva is a generous cheese, with pronounced flavor and subtle aromas of nuts. TheCusiè cheese is produced by Beppino Occelli with cow's and sheep's milk.Cusiè is a seasoned cheese that is aged for at least four months in Valcasotto's cellar on wooden planks. Beppino Occelli. Organic Cheese made from sheep's milk may be less popular than cow's cheese or goat cheese, you're certainly in for a treat when you take a bite from a nice piece of feta, Roquefort, Manchego or pecorino. Derived from traditional pork, ham is refined between 6 and 18 months in the dryer. Its taste is fine and its aromas subtle. Discover our selection of dried hams. Local Pecorino Vallesina, embellished with chilli pepper, which exalt it giving it special taste notes; gives an intense aroma to those who love strong mountain flavors. Ingredients: pasteurized sheep's milk, milk, chilli pepper, rennet and salt.Italian milk. MONTENERONE Local Pecorino Cheese semi-mature 500gr. Cheese made from the processing of whole milk, pasteurized. Crust: striped, thin, straw-white color. Color of flesh: characteristic white. Taste: sweet, full characteristic. Through the use of ns. Prices are subject to change. Raw materials used: Italian sheep's milk, rennet, salt. Prices are subject to change. Check the final price of sale before sending the relevant order form. All data gathered will not be distributed by Setefi SpA - finanziaria del Gruppo Intesa. ITALIAN MILK. After a first semi-seasoning, it is transferred to the tuff caves in Sant 'Agata Feltria. Characteristics: soft paste, strong flavor, dark straw-colored, treated with olive oil and vinegar on the surface. VALLESINA CHEESE PECORINO. A cheese with a strong and slightly spicy flavor, which leaves the palate sweetly satisfied. ITALIAN MILK. 62100 Macerata, MC. Via Velluti, 32/34. - cancellation, conversion to the anonymous form or block of data treated in breach of the law, including those not needing to be kept within the purposes for which the data were collected and than treated;. PECORINO Nostrano VALLESINA A typical cheese from the Marche region with a soft texture and a strong flavor with a good eyeliner and a straw-colored color. Italian milk. 62100 Macerata, MC. Via Velluti, 32/34. Cheese made from pasteurized whole milk. The three months of ripening in particular conditions of temperature (16 ° - 17 ° C) and relative humidity (98%) modify the organoleptic characteristics of the cheese and aromatic, and the weight, which is reduced by about 20%. PECORINO Nostrano VALLESINA A typical cheese from the Marche region with a soft texture and a strong flavor with a good eyeliner and a straw-colored color. Italian milk. Fat 28.30 g of which saturated fatty acids 16.70 g.
It is used to flavor fresh salads and as a seasoning of oven-baked first courses. It is a tradition typicallyMarche that to aromatize the cheese in various ways: that of aromatizing the cheese with walnuts is one of the most anchored to our territory. 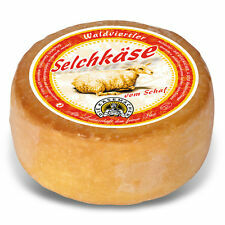 Semi-cooked cheese produced with a mixture of sheep's milk (70-80%) and cow's milk (20-30%), whole pasteurized. Texture of the cheese: soft and crumbly, with a slight characteristic holes. External appearance of shapes: cylindrical bare bottom with rounded sides. Edible rind. Pasta structure: soft and crumbly, with slight holes for all the caciotte, with marked presence of pieces of olives. Crust: thin straw-colored, with the presence of pieces of olives. It is used to flavor fresh salads and as a seasoning of oven-baked first courses. Ablend ofthe refined and characteristic taste of the truffle, rich in values ​​and unique in its kind. Crust: thin straw-colored, with pieces of black truffle. It is used to flavor fresh salads and as a seasoning of oven-baked first courses. Semi-cooked cheese produced with a mixture of sheep's milk (70-80%) and cow's milk (20-30%), whole pasteurized. Texture of the cheese: soft and crumbly, with a slight characteristic holes. Weight:0,95 Kg / - 8%. PECORINO del DUCAcheese of the Marche region, obtained by processing of whole pasteurized sheep's milk. All data gathered will not be distributed by Setefi SpA - finanziaria del Gruppo Intesa. In particular, all data in paper form will be codified. Mixed cheese embellished with flakes of black truffle, which exalt it giving it special taste notes; gives an intense aroma to those who love strong mountain flavors. 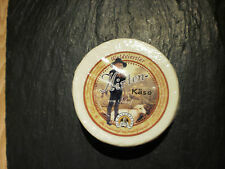 Ingredients: pasteurized sheep's milk, milk, black truffle aromas (tuber aestvvum vitt), rennet and salt.Italian milk. In nearly two thousand years the oral tradition handed down to the ancient techniques and tools of Pecorino cheese. The tradition of the Marche processing of sheep's milk led to obtain a Pecorino cheese tasty and unique, able to satisfy even the most demanding and sophisticated palates. After a first semi-seasoning, it is transferred to the tuff caves in Sant 'Agata Feltria. ITALIAN MILK. Characteristics: soft paste, strong flavor, dark straw-colored, treated with olive oil and vinegar on the surface. The Italian regulation n° 675 of 1996 protects the privacy of personal data. Through the use of ns. n. 196, art. 7, 2003 (Code for protection of personal data), and in particular gain information about.